Section 23's March 2014 Releases - Now Available for Pre-Order! K Complete Collection - Now Available for Pre-Order! Viz has sent over the details of their their release of the 'K' Complete Collection and we now have it up on the store site for pre-order. Orders placed with RACS for either the standard DVD set or the limited edition DVD/BD combo set will include an exclusive 3 sticker set (while supplies last)! Comes in a chipboard box with iridescent foil covering. It gives the box a nice blue/green shimmer effect under the background art and is really striking. Special Features: Clean Opengins & Endings, English Cast Interview, VIZ Presents an Interview with KANAME☆, KANAME☆ as Fushimi Photo Gallery, K Events - U.S. Convention Highlights, Next Episode Previews, Trailers and More! Standard DVD only set also available. This is just the 2 DVDs in a standard black Amaray. Special Features: Clean Openings & Endings, K Events - U.S Convention Highlights, K Trailers, More from VIZ! 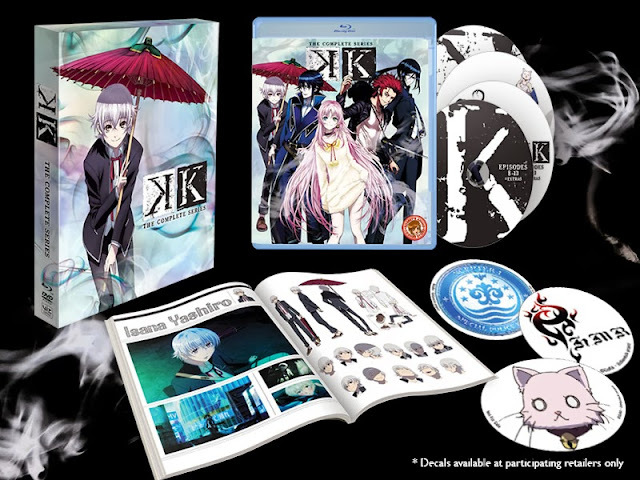 From the Press Release: VIZ Media announces the release of the psychological anime action thriller – K – as a special Limited Edition Blu-ray/DVD combo pack, as well as a standard DVD edition, on February 25th, 2014. 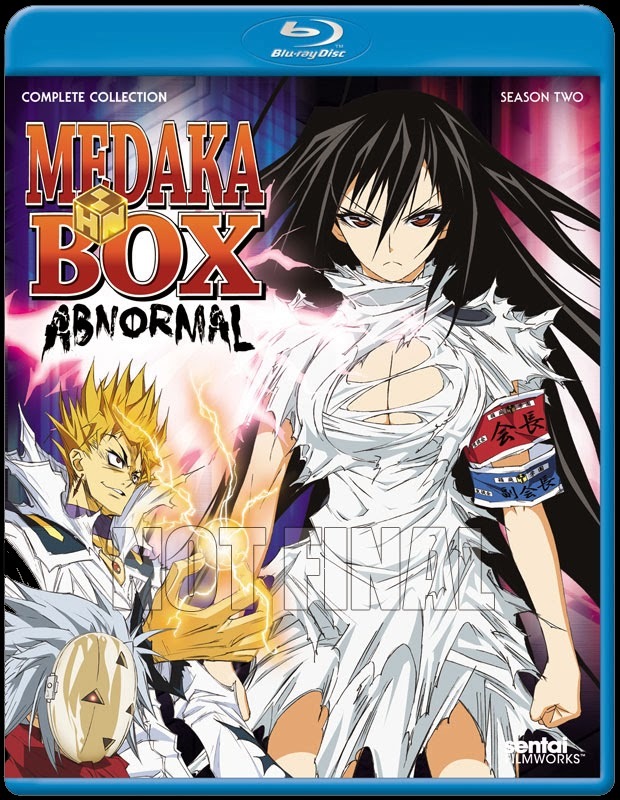 The acclaimed 13-episode series is rated TV-MA and will be offered as a special 4-Disc limited edition Blu-ray/DVD combo pack with an MSRP of $69.99 US/CAN. The set also includes a full-color 80 page premium art booklet containing individual episode synopses, character profiles, poster art, translated song lyrics, an exclusive KANAME☆ K cosplay photo gallery, and much more! The standard edition 2-disc DVD set will be offered at an MSRP $44.88 US/CAN. K introduces viewers to Shiro, an easygoing teenager content with just being a student – until his seemingly perfect life is suddenly halted when a bloodthirsty clan, glowing red with fire, attempts to kill him in the streets. Unbeknownst to Shiro, he is suspected of murdering a member of their clan and will need a miracle to escape their vengeance. Miraculously, a young man named Kuroh Yatogami swings in and aids Shiro in his getaway, only to reveal afterward he's also after Shiro's life. Now a hunted man, Shiro will have to evade the clans of seven powerful kings and desperately try to prove his innocence – before it’s too late! An extensive collection of bonus material makes this K release a must-see for anime fans. The Blu-ray/DVD combo pack will come packaged in a luxurious collectible specialty print chipboard box holding the art booklet and disc case. Limited Edition combo pack extra features include: VIZ Presents an Interview with KANAME☆, an insightful segment with one of Japan’s most popular professional cosplayers during his first-ever U.S. guest appearance to celebrate the debut of K at Anime Expo in Los Angeles in 2013; a KANAME☆ as Fushimi Photo Gallery; special K Day Events and convention highlights from Anime Expo including the VIZ Media K panel with cast, staff and special guests; exclusive English cast and crew interviews; the series’ original Japanese and English trailers; and clean opening and ending segments (with English translated and subtitled options), next episode previews and more. 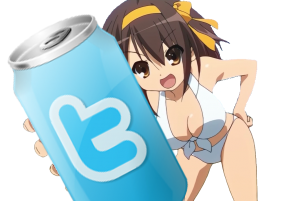 K was developed by GoHands, the noted studio that also created the cyberpunk anime film series, Mardock Scramble, and the enigmatic writers’ collective, GoRA Project. VIZ Media premiered K in North America on its VIZAnime.com streaming service on the same day as the Japanese broadcast debut and the series continues to grow in popularity in rotation on the company’s Neon Alley 24/7 anime channel. “Filled with gorgeous imagery, attractive characters and an engaging story from GoRa and GoHands, K became a viewer favorite during its simulcast premiere and subsequent runs on Neon Alley,” says Charlene Ingram, VIZ Media Senior Manager, Animation Marketing. “With such a fantastic fan response, we're pleased to have K be our first Limited Edition Blu-ray/DVD combo pack title. With such beautiful packaging and loads of extras, we hope fans will become as excited about this upcoming release as we are!" We have both the BD and the DVD sets in stock and available now ! 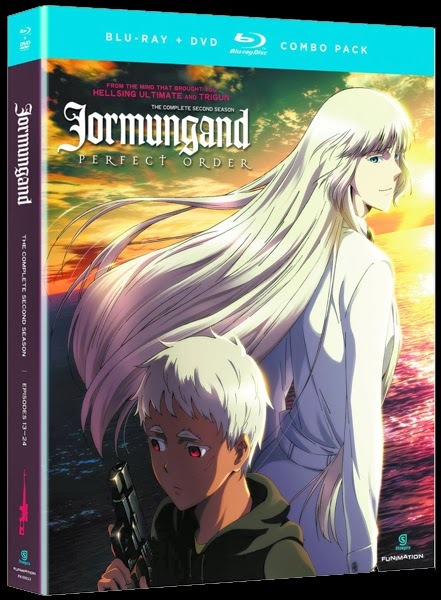 Funimation's February 2014 Releases - Now Available for Pre-Order! 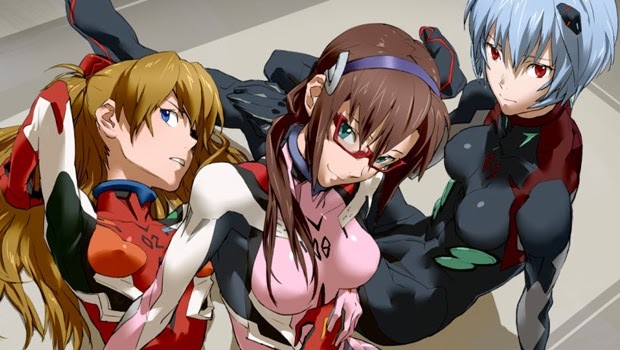 Eva 3.33 no longer speculation - coming Feb 18th! Thanks to Sean for sending!